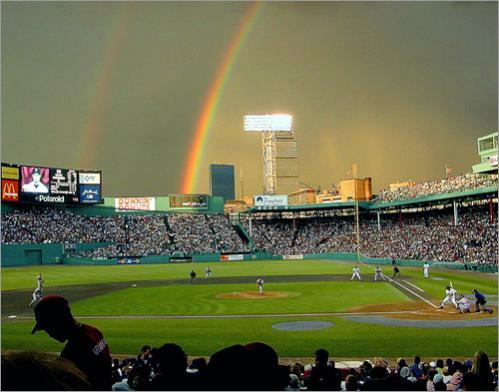 In 2000, my dad Saul got an email from a friend with an amazing photo of a double rainbow the friend had taken during a Red Sox game at Fenway Park. My dad was at the game too, and many fans who were there took photos similar to the one he received. Soon the internet was filled with them. (If you don’t understand or know what a “Double Rainbow” is, here is a link to the original YouTube video that started the trend. It’s by Hungrybear9562.) Make sure you play the audio.